This is the only way to get chocolate fix in the morning. These were absolutely amazing!! Matt requested these for his brothers farewell breakfast and they were gone the fastest. Mainly because chocolate will never let you down! 1. Preheat the oven to 400 degrees. Line 12 muffin cup with liners. 2. 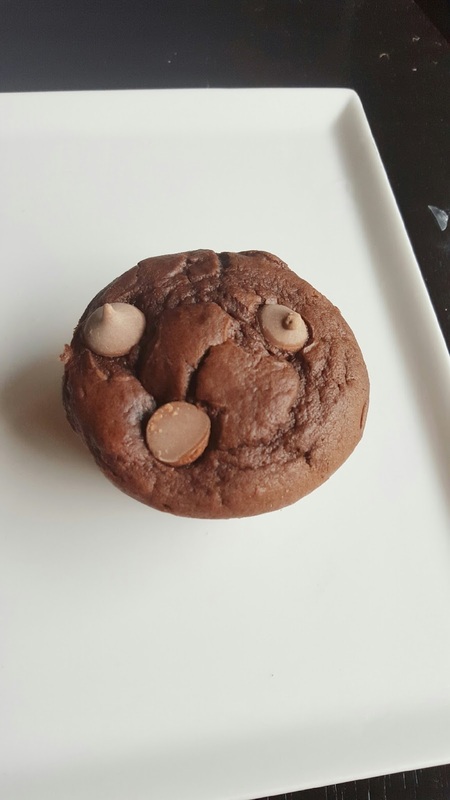 Combine flour, sugar, chocolate chips, cocoa powder, and baking soda in a large bowl and set aside. 3. Whisk egg, yogurt, milk and butter in a stand mixer. 4. Gradually add the flour until the batter is well mixed. 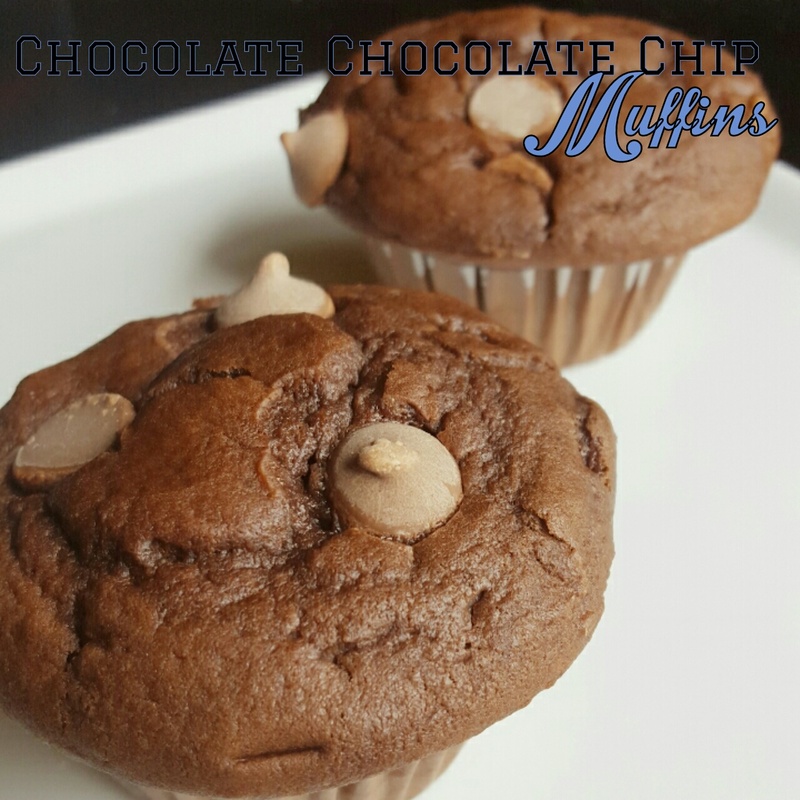 Fill the muffin tins 3/4’s of the way full, sprinkle extra chocolate chips on top of the muffins. 5. Bake for about 20 minutes until the a tooth pick comes out clean. Allow to cool in the pan for about 10 minutes and then allow to completely cool on a wire rack. yum, chocolate for breakfast, yes please! 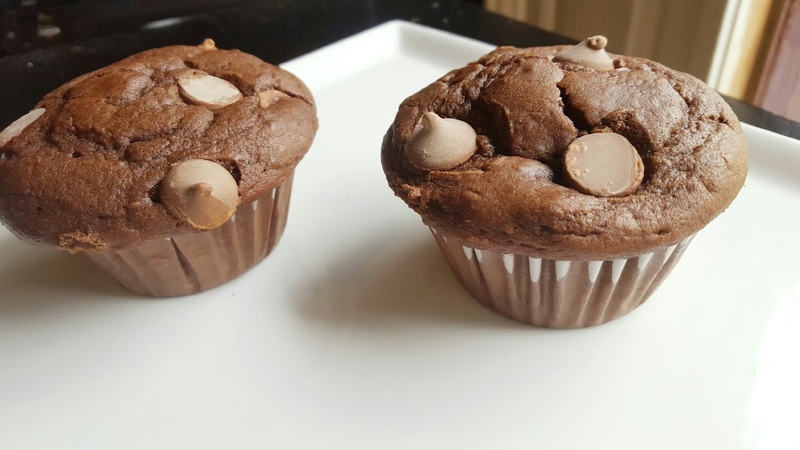 This is a perfect weekend breakfast treat, love the double chocolately muffins. Thanks so much for sharing with Foodie Friends Friday party this weekend. Will pin/share. We look forward to seeing you again soon with another delicious recipe. I love recipes from scratch and chocolate!! Double winner in my book! Thanks for sharing at Home Sweet Home!